The Nexus 105 is a high output, low current consumption sounder beacon designed for fire and industrial applications. Nexus 105 sounders are IP66 rated, making them suitable for outdoor applications. 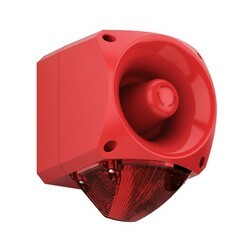 The Nexus sounder beacon is available with either a high efficiency LED or high output Xenon beacon.